Going on vacation has become increasingly special over time. It is no longer just about traveling, but finding deep relaxation and exploring new cultures and cuisine. Why do so many people dream of staying in ultra-luxury resorts? Because that is where you find all of the above.However, it is not always that way. Something as basic as good service or as simple as a good shampoo in the bathroom make all the difference…and a few months ago I visited a place that made the difference. 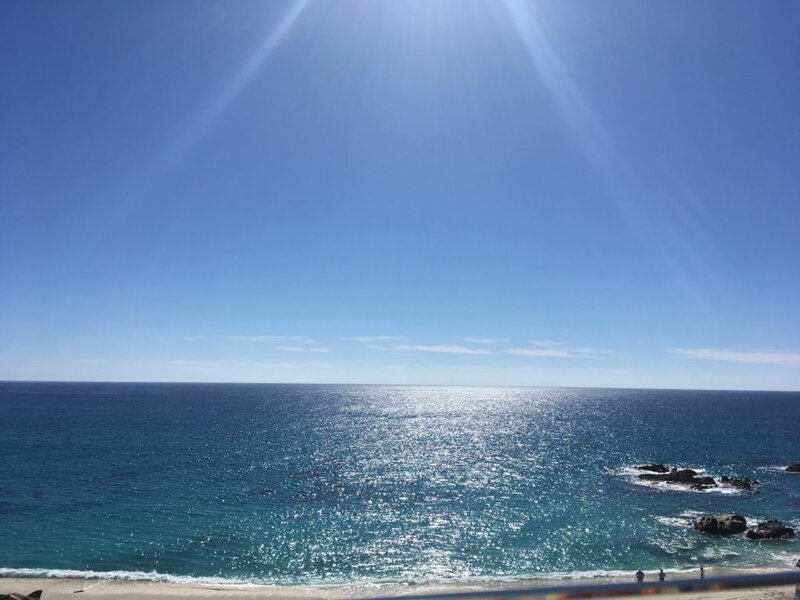 I decided to share it with the world, so here is my review of Grand Velas Los Cabos. 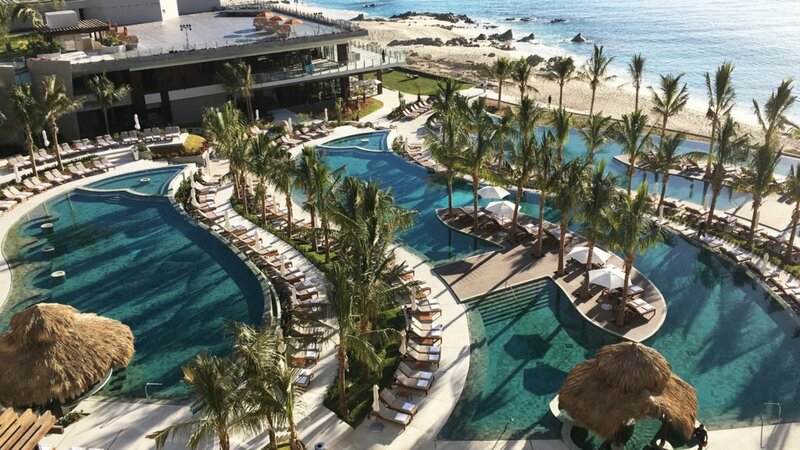 Grand Velas Los Cabos is an all-inclusive resort located in the tourist corridor between Cabo San Lucas and San Jose del Cabo. From the moment I arrived, I had butterflies in my stomach – that feeling you get when you’re hoping to have the vacation of your dreams. When we pulled up to the lobby, the bellboy and my Concierge smiled at me in a way that made me feel truly welcome. While waiting to check-in, I was provided with a refreshing natural fruit drink and a refreshing scented towel. There is also a café called Amat, where you can order your favorite coffee and a snack. As a first impression, the service was exceptional, but there’s also the architecture. The lobby is literally a window to paradise. Two enormous walls frame the direct ocean view, with great ‘brushstrokes’ in tones of gray and beige. 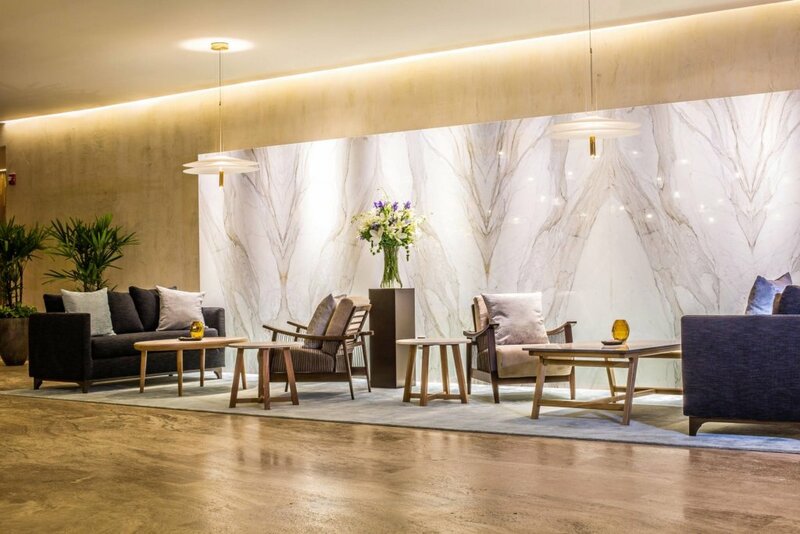 The lobby’s décor and sculptures make it feel like a museum. As the days went by, I felt more and more embraced by the staff. The Concierge is not only a member of staff who is there to assist you, but someone who actually understands your needs and provides support during your stay. Once you have this experience, you wonder why the service isn’t offered at every hotel. The best thing is that the Concierges are available 24 hours. The comfort of the suites is indescribable, so much so that at times I wasn’t sure if I should stay in or go out and enjoy the common areas. The neutral colors and minimalist design confirm the theory that “less is more”. The view from the terrace is also inspiring, waking up to it is a true blessing! On more than one occasion the uninterrupted view of the ocean and impressive infinity pool made me sigh with wonder. One of the best aspects of the suites is the minibar, replenished daily (as often as you like), without paying a peso more. It even has a bottle of red wine and craft tequila, which you can enjoy with a bubble bath in your jacuzzi. I visited all areas of the resort and each has something incredible. Just seeing the Kids’ Club with its own playground and the Teens’ Club made me want to be a kid again. 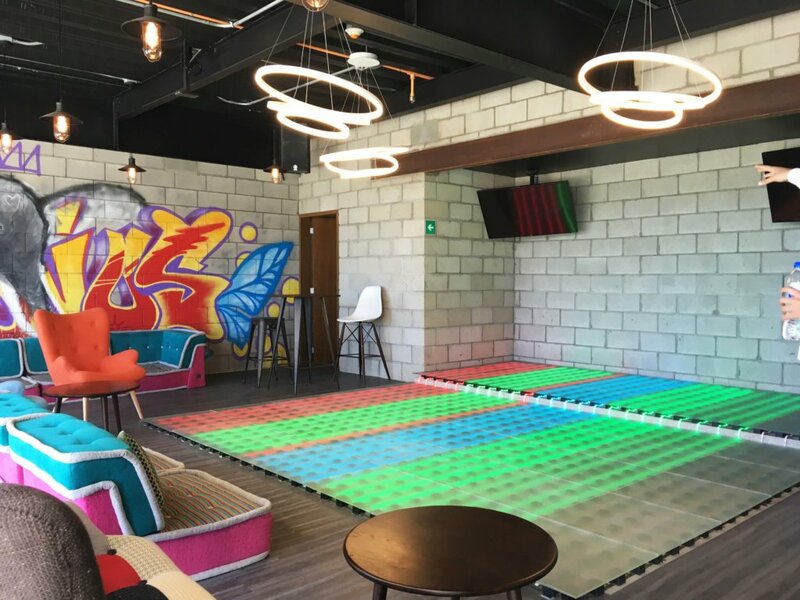 Both are equipped with the latest technology, but the Teens’ Club in particular drew me in, with its individual video game booths, dance floor and karaoke. The activities in the pool area and gardens are for all ages, great for spending time with family. 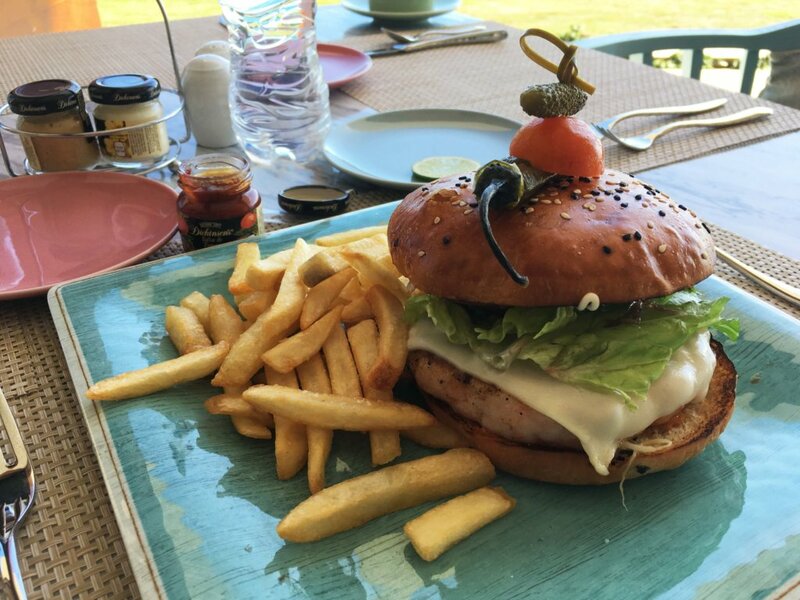 The resort has a wide range of gourmet options and it was difficult to decide where to go because I wasn’t staying long enough to try them all. In total, there are seven restaurants: five gourmet specialty restaurants for dinner and two all-day restaurants, in addition to six different bars. For breakfast and some lunches I visited Azul restaurant and I must say that there are few buffets like this one. It is splendid in every way, with endless choices for breakfast and lunch. I recommend the quesadilla station and the shrimp burger. I also ordered suite service a few times, as it is available 24 hours. Cabrilla restaurant has an impressive variety of ceviches and seafood from Baja, all of which taste even better in your lounge chair after swimming in the pool for a while. Velas 10 offers a vast buffet of steak and seafood. Where else can you find tanks of live lobster, oysters, and fish that you can select to be cooked to your liking? And yes, it’s all included! Each restaurant is unique and has its own personality. Without a doubt, one of the best experiences was Cocina de Autor, whose great reputation made me anxious to experience it for myself. If you were to ask me what their specialty is – although they define themselves as creative cuisine – I would say it is emotional, revolutionary, even magic cuisine. The minds and hands behind this show are led by Chef Sidney Schutte, recipient of two Michelin Stars.The culinary tour continues in restaurant Frida, revolutionizing haute Mexican cuisine; Piaf, with traditional French cuisine; and Lucca, with Italian and Mediterranean specialties. Feasting in these restaurants is nurturing yourself with pure art! 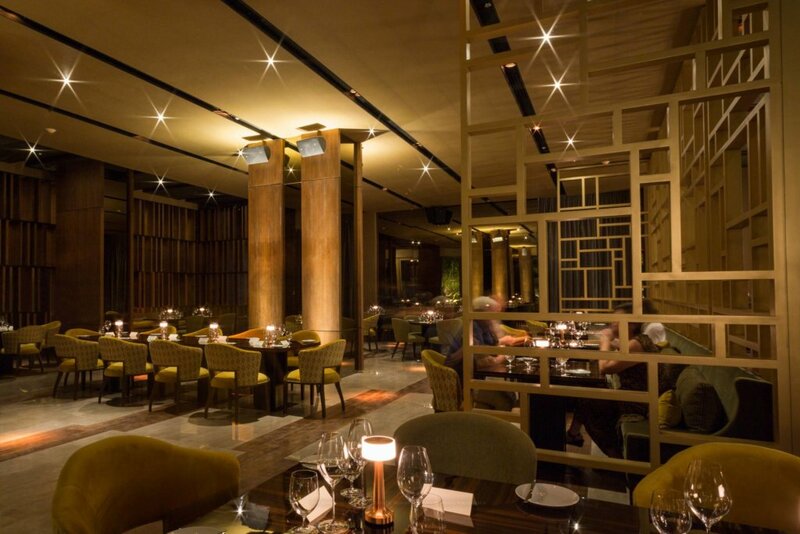 The culinary tour continues in restaurant Frida, revolutionizing haute Mexican cuisine; Piaf, with traditional French cuisine; and Lucca, with Italian and Mediterranean specialties. Feasting in these restaurants is nurturing yourself with pure art! In addition to the gastronomy, there’s the Spa. Although the treatments are not included in the rate, visiting the Spa is a must. The luxury and relaxation emanating from each corner of the space is palpable and immediate. Before my massage, I was taken to enjoy the “water ceremony” which is a journey through various hydrotherapy stations. I experienced all types of sensations, all of which have a positive effect on both body and mind: Sauna, chromotherapy steam room, ice room, showers, thermal lounges and swimming pools with different temperatures. I was accompanied at all times by my Spa Concierge, who provided refreshing drinks throughout the process. I then got to see my treatment room and meet my therapist; her graceful and delicate attention was something you don’t find in many Spas. At the end, the Spa Concierge guided me to the rest area where I enjoyed a cup of green tea and dried fruit and nuts. SE Spa also has a beauty salon, a barbershop for men and a Spa Atelier that offers wellness-themed workshops. I had the opportunity to start off several days with an inspiring view at the gym. It has modern equipment and an ocean view terrace where you can take yoga classes with the ocean breeze caressing your face. 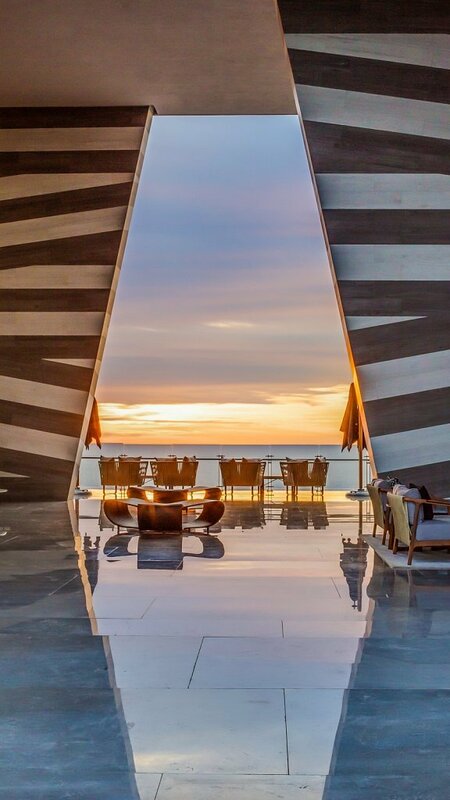 The advantage of this resort is that you can see the blue waters of the Sea of Cortez from almost any vantage point of the entire property, due to its crescent design and high ceilings. As an extra fact, for those who are interested in traveling for business, large groups or weddings, the resort has a huge Convention Center and a stunning oceanfront terrace, which is also great for sunbathing. You can see absolutely all the beauty that surrounds you from here. 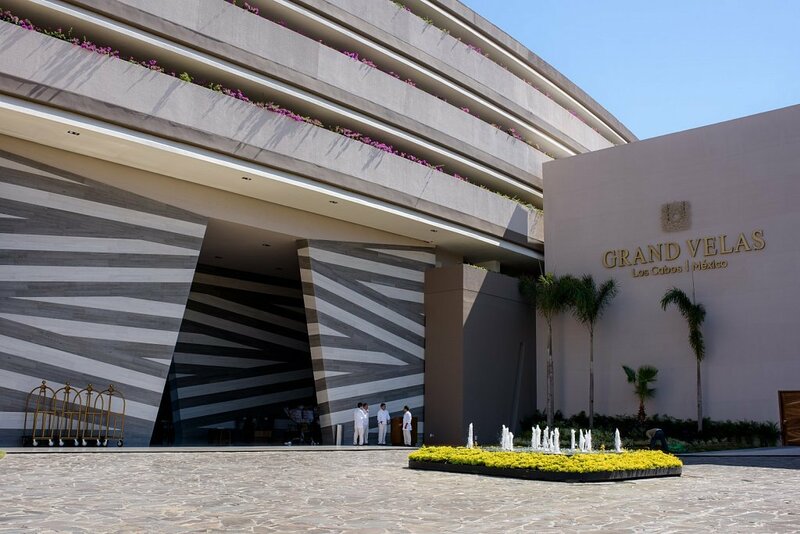 Grand Velas Los Cabos is for people looking for both relaxation and fun; for foodies and pleasure-seekers and those who love variety; for those who enjoy pampering service from entrance to exit; but above all, for the explorers of unforgettable experiences. If there’s one place I would return to, this would be it, without thinking twice. As the song says, ‘one always returns to the old places where they loved life’. 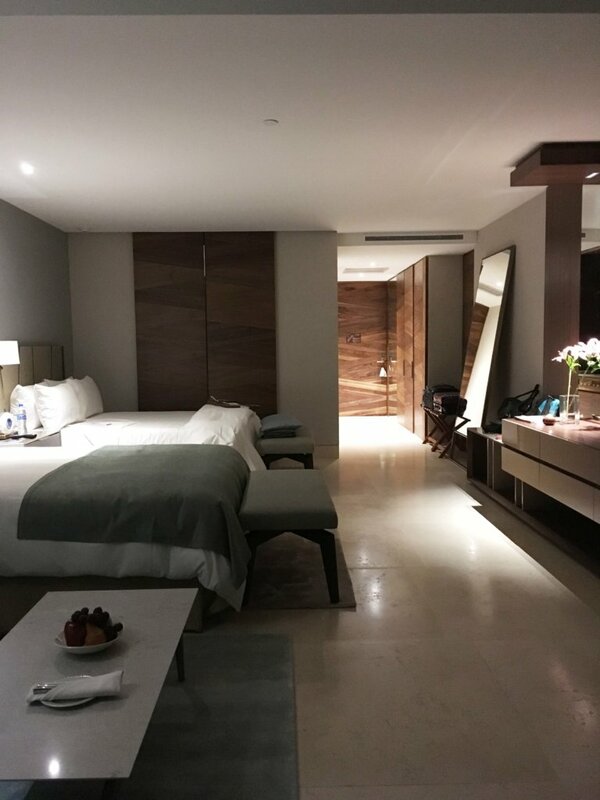 Would you like to see all of this for yourself and write your own review of Grand Velas Los Cabos? Explore the resort website and start your adventure. Have you ever had a wow moment while staying in a hotel?